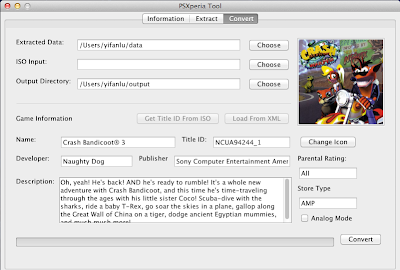 After two hard weeks of decompiling , reverse engineering , graphing, and coding, I’m proud to announce PSXperia, a set of tools to extract, patch, and repack the Crash Bandicoot game that comes with all Xperia Play phones to use any PSX game (that you legally own). 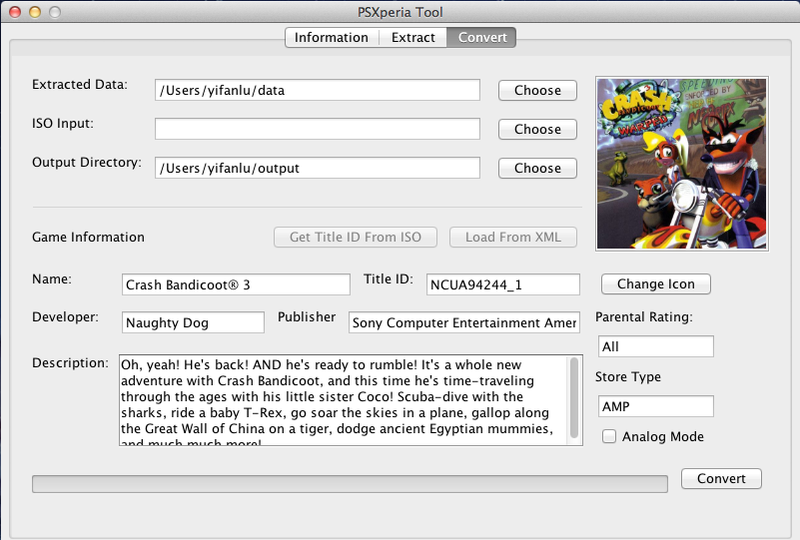 In addition to allowing you to play any property ripped PSX game, you can also set a custom icon and the game will show up in the phone’s Playstation Pocket app, so you can quickly access it when you flip the gamepad out. I’ve converted and tested 8 games with this tool and they all run flawlessly, but if things don’t work out so smoothly for you, submit your issues to github. It currently doesn't support Multi disc games.